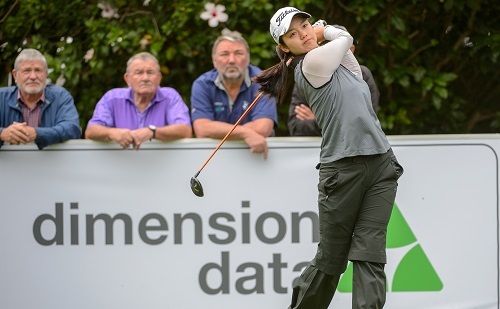 Carrie Park remains on course for a wire-to-wire victory in the Sunshine Ladies Tour Dimension Data Pro-Am after maintaining her overnight lead with a flawless 68 in Saturday’s second round at George Golf Club. The 21-year-old South Korean will chase the lion’s share of the R500 000 purse at the Outeniqua Course at Fancourt with a two shot cushion on seven-under-par 137. Park produced four birdies as her main rivals – former champion Stacy Bregman and defending champion Nicole Garcia – unravelled in the windy conditions. One off the pace and joint second with Garcia, Bregman kept in touch, but a three-putt bogey at the final hole for a 71 saw the five-time Sunshine Ladies Tour winner slip to third on three-under. Garcia made a fine start with back-to-back birdies, but she dropped three shots around the turn. Another drop at the 18th for a disappointing two-over 74 will see the Ebotse golfer start the last round in joint fifth on even-par with fellow South African Lora Assad, who returned a 71. Swiss golfer Valeria Martinoli came to closest to catching Park. The 25-year-old – off in the final group off the first – fired two birdies on the front nine and she moved to five-under with further gains at 11 and 15. However, successive bogeys at the two closing holes put paid to her challenge and she finished in third on three-under with a round of 69. Park might be playing under the South Korean flag, but she is a household name in South Africa with a strong amateur track record that includes the titles of the Sanlam SA Amateur and Stroke Play Championships. In her second pro start on the Sunshine Ladies Tour last year, Park rubber-stamped her status as a future world beater when she beat the likes of Garcia, Lee-Anne Pace, Ashleigh Buhai and English golfer Kiran Matharu for her maiden win in the South African Women’s Masters. 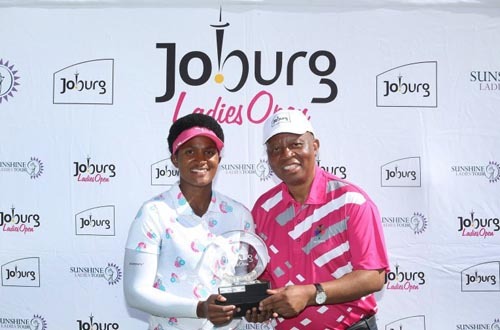 Just a few weeks later, she defeated Nobuhle Dlamini in a play-off for a second title in the Sunshine Ladies Tour Classic, presented by Canon, at Glendower Golf Club. Having campaigned on the Korean LPGA Tour for the last nine months, Park has brought a bounty of confidence the Sunshine Ladies Tour and that self-assurance, combined with lethal long irons and a hot putter, has taken her to the top of the pile in George. “I had eight straight pars and only got my first birdie at the ninth, but it gave me good momentum for the back nine,” said the petite Park. “The course played very different to the first day, because the wind blew into us and it was gusting a lot. Bregman was one of the favourite starters this week. 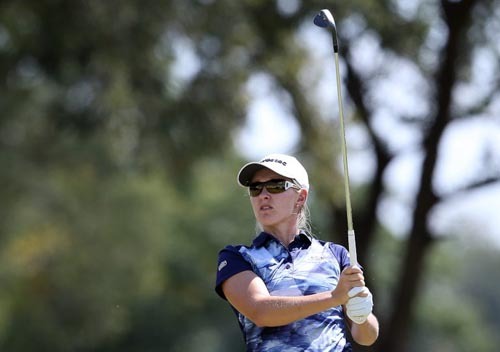 She won the Canon Tshwane Ladies Open and leads the Investec Property Fund Order of Merit after a tie for second in the Joburg Ladies Open and a top five finish in the Cape Town Ladies Open. The Country Club Johannesburg golfer was ready to forget the second round. “It was a struggle, but it’s by no means over,” said the 31-year-old.